Your scripts are now able to use the available Redis Scripts. redisCall returns either a single object for redis commands returning single values or a List or nested List of objects for Redis commands returning complex Responses. 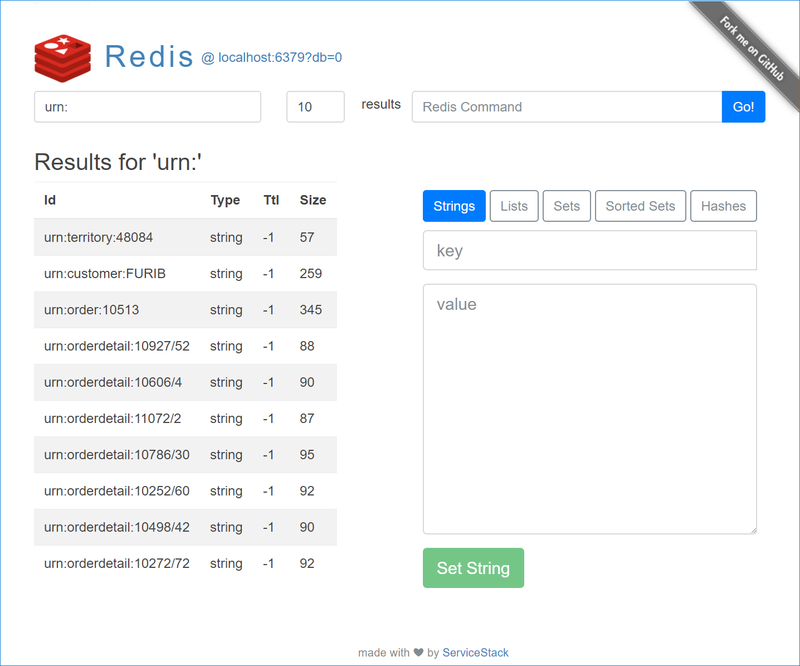 Returns the Redis Server Info from Redis Info command in a String Dictionary. If preferred, you can access the search results as JSON and parse it on the client instead. Converts an redisConnection Object Dictionary into a Redis Connection String. As this is a Web Template Sharp App it doesn't need any compilation so after running the Redis Web App you can modify the source code and see changes in real-time thanks to its built-in Hot Reloading support. See the Scripts API Reference for the full list of Redis scripts available.